Karen, oh, thanks for these album and single details! Yeah Yeah Yeahs have unveiled the title of their new album, as well as the lead single from said release. The LP, entitled Show Your Bones is released through their Dress Up Records imprint on March 27th. A single preceeds it a week earlier, which goes by the moniker of 'Gold Lion'. Singer-type Karen O told someone or other that, "Show Your Bones is what happens when you put your finger in a light socket, we'd like to thank 9 year old antigenius wonder-kid Drake Barrett for the insight and the life saver, titles are hard to come by the older you get. Maybe there is some of that electric current flowing through the tracks of our album illuminating us from the inside out for you to laugh at and cry to or fry to, or not." Ace! DiScuss: Excited? Has your YYYs fandom subsided? 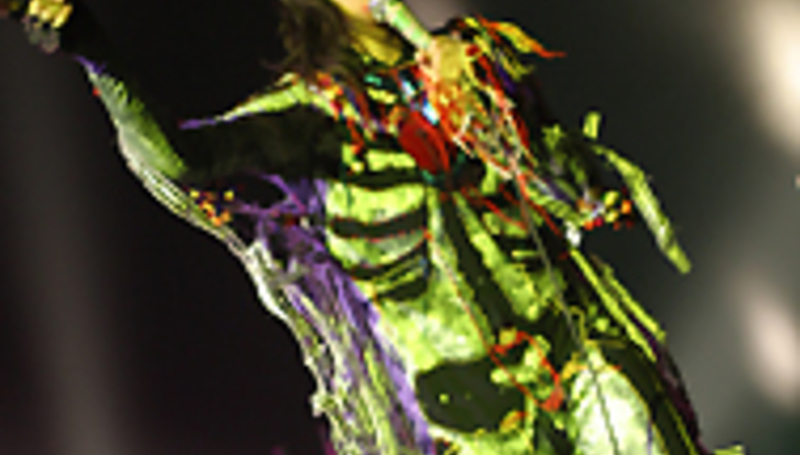 Do you dress like Karen O? If so, why?